1. Tiesto related topics -> all existing topics moved to ONE FORUM: Things You Say. Have been moved into 1 forum. Subsequently the other unnecessary sections were removed. No Tiesto related topics/posts have been deleted - if there is a trouble finding something posted a while ago, it's just somewhere in the new "Things You Say" forum. 2. Non-Tiesto related topics (dirty sticky floors + Question Must Be Asked sections) are merged together in one "Off Topic" discussion thread. 2a. The popular topic "What are you listening to now?" is moved to Praiseworthy Tunes section (as it is related to current tunes rather than a general off-topic). All other Dirty Sticky Floor topics were moved to "Off Topic". 3. Hear You now (section for our own sets/mixes) has moved to discussion as well. 2+3. 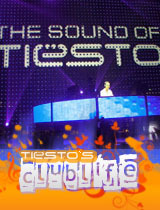 There will be pruning of old (2006-2009) material from these non-Tiesto forums, however all 2010 posts will remain. "In The Dark (ID Remix)"
"new remix of In The Dark"